Roger Groth attended the University of Nebraska-Lincoln for his Bachelors and Masters of Music degrees. Mr. Groth taught instrumental music in Westside Community Schools in Omaha, Nebraska for 37 years, 30 of those 37, as Director of Bands at Westside High School. The Westside High School Bands, under Mr. Groth’s direction, has received many local, state, regional and national honors. His groups have performed in over 25 states at such venues as the “National Adjudicators Invitational Contest” in Chicago, Ill., The Monterey Jazz Festival Next Generation Jazz Contest in Monterey, California, The National School Board Conference in Orlando Florida, The Sugar Bowl in New Orleans Louisiana, the Alamo Bowl in San Antonio, Texas, Guest Concert Band & 3 time Guest Jazz Band for the Nebraska State Bandmasters Convention and many, many more. Mr. Groth’s WHS Concert/Marching Band programs consisted of 2 marching bands, 3 concert bands and 35- 40 small ensembles. During Mr. Groth’s tenure the Westside Warrior Marching Band received 26 out of 28 I ratings at NSBA State Marching Contest & 30 out of 30 I ratings with his Warrior Concert Band at District Music Contest. The Westside Jazz program, under the direction of Mr. Groth, consisted of 3 full big bands and 3 active jazz combos. His top group received a I rating and no less then 1st , 2nd or 3rd place at every jazz festival or contest attended for 30 consecutive years. His top Jazz Group (Concert Jazz Band) was recognized by some of our countries best jazz educators and or clinicians as one of the top 25 bands in the country. Several of Mr. Groth’s past students are now involved in the professional music/entertainment/ & teaching business. Some are rock stars, film movie score composers, sound editors, professional performers, band teachers or professors of their instrument at various colleges and universities across the country. Mr. Groth has received many teaching honors including Outstanding Jazz Educator from the National Band Association and the International Association of Jazz Educators, Recognized as “Who's Who Among America's Teachers” every year from 1993 - 2010. In 1994 & 2013 Mr. Groth was recognized as a distinguished teacher of a Presidential Scholar, in 1997 he was selected as Music Teacher of the Year from the Omaha Arts Society and the Omaha Chamber, he was the recipient of the 1997 National Milliken Educator Teaching Award for the state of Nebraska, In 1999, 2000 & 2001 Mr. Groth was nominated for the nationally acclaimed Walt Disney American Teacher award. In 2003 & 2004 Mr. Groth was one of 4 finalists for the Nebraska Teacher of the Year, in 2003 he was selected as a finalist for the National Teacher Hall of Fame, in 2004 Mr. Groth received the Phillip and Terri Schrager District 66 “Excellence in Teaching” award. In 2005 Mr. Groth was selected as an “educator's virtual mentor” from the “Learning For The Future, Inc.” educational training company. 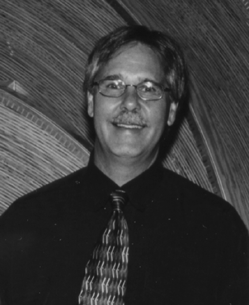 In 2011 Mr. Groth received the “Distinguished Service Award” from NMEA. Mr. Groth has been recognized in the “Presidential Who's Who” publication each year from 2008 - 2012. In March of 2012 Mr. Groth was recognized by Nebraska State Bandmasters as a recipient of the Donald A. Lentz Outstanding Bandmaster Award. In June of 2012 Mr. Groth retired from teaching and is now serving as a guest clinician, guest conductor, adjudicator, consultant, teacher mentor, substitute teacher and home handyman. Mr. Groth is still active in many professional organizations and has served on the board for Nebraska Music Educators, International Association of Jazz Educators and the Nebraska State Bandmasters Association. Mr. Groth is in his 19th year as an active NMEA board member and currently serves as Coordinator for the Nebraska All-State Jazz Band. Roger and his wife, Lisa, have three children, David Groth – age 29, Sarah (Groth) Hammers - age 29 & her husband Patrick Hammers – age 30 and one grandchild; Aubrey Hammers age 2 years & 11 months with another one expected in January, 2017.